Microsoft Bob (internal code name “Utopia”) is a Microsoft software product to supplement the Program Manager in Windows 3.1 and Windows 95, and was released in March 1995. Widely regards as one of greatest failed Microsoft ventures. 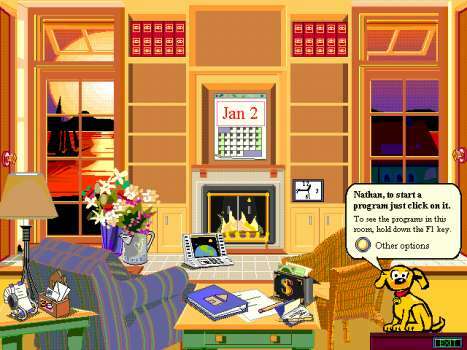 Microsoft Bob provides a new and nontechnical graphical shell interface to desktop computing operations back in era of 1990s. Despite the failure of Microsoft Bob and abandon or retraction from market, its features and characters have made way into many other Microsoft products to maintain its legacy. For example, “Bob” face is used in Windows Live Messenger as a “Nerd Smiley”, “Will” (only in Office 97) and “The Dot” are now Office Assistants, “Rover” the yellow dog can be found in the search function of Windows XP and its animations (like typing on a computer) inspired the Office Assistant “Rex”. Besides, “Rover” also appears in the Microsoft program Greetings Workshop. And now, Raymond Chen, a well-known developer on the Windows Shell team at Microsoft who has working on OS/2, Windows 95, DirectX and later versions of Windows since joining Microsoft in 1992, claimed that Microsoft Bob is indeed delivered and distributed for free with every copy of Windows XP CD in TechNet Magazine. The encrypted version of Microsoft Bob is on the Windows XP setup CD just to fill up the free remaining disk space. The person who was asked to implement this check (to have the Windows Setup program verify that the dummy data was still there) needed a source for the dummy data. Now, he could have just called the CryptGenRandom function to generate 30 megabytes of cryptographically random bytes, but where’s the fun in that? Instead, he dug through the archives and found a copy of Microsoft Bob. He took all the floppy disk images and combined them into one big file. The contents of the Microsoft Bob floppy disk images are not particularly random, so he decided to scramble up the data by encrypting it. When it came time to enter the encryption key, he just smashed his hand haphazardly across the keyboard and out came an encrypted copy of Microsoft Bob. That’s what went into the unused space as ballast data on the Windows XP CD. So despite Raymond’s claim that Microsoft Bob is everywhere, it probably not yet possible to extract the setup files for MS Bob from Windows XP CD. 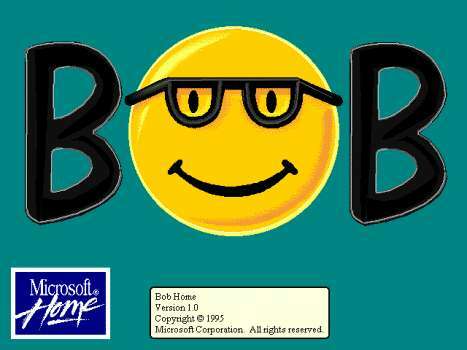 However, if you want to install and tryout MS Bob, or get interested in the failed application after view the video demonstration and preview of Microsoft Bob below, the setup installation files (MSBOB10A.ZIP, a newer version 1.00A that replace MSBOB.ZIP) can be downloaded from here. 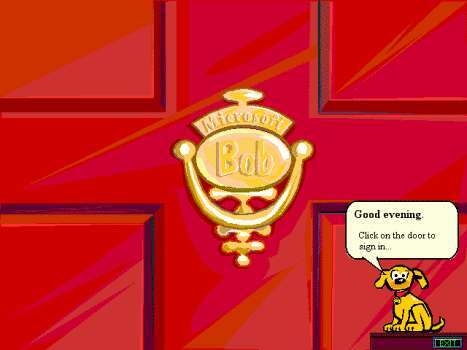 Microsoft Bob can be installed and run on Windows 3.1, Windows 95, Windows 98, Windows 2000, Windows ME, Windows XP, Windows Vista, Windows 7 or later. It requires 256 MB RAM, 30 MB hard disk space, and VGA monitor with 256 colors. When running Microsoft Bob in Windows Vista or later, it must be Run as Administrator. And also in Windows XP, Windows Vista, Windows 7, Windows 8, Windows 10 or later, Microsoft Bob must be run in Windows 95 compatibility mode. Note that Microsoft Bob is not freeware nor shareware, although it may be abandonware, so install it at your own risk and legal consequences.